STEPS goal is to facilitate this transition by sharing innovation, knowledge and findings between academia, industry and society. 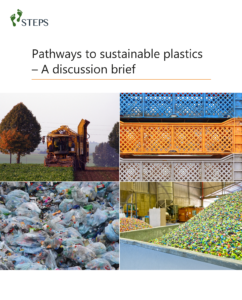 STEPS partners include Lund University, Swedish Agricultural University, Swerea IVF, and 18 industrial partners and County council of Scania county of Sweden representing the entire value chains in a sustainable plastics system. 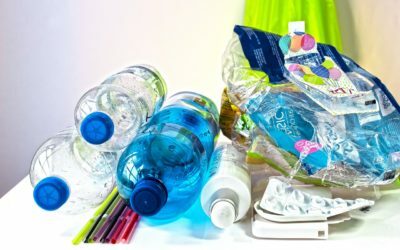 STEPS is looking for sustainable solutions throughout the value chain from renewable feedstock, conversion and design to post-consumer plastic waste handling. 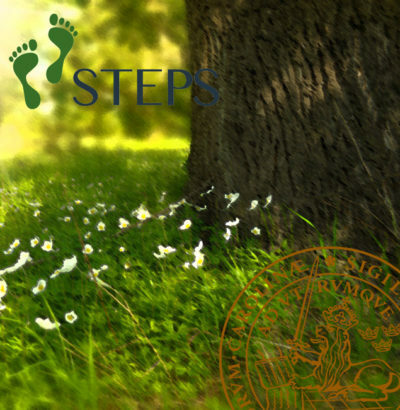 STEPS concept is to design sustainable plastics with desired material properties and life-cycle by matching suitable carbon-neutral building blocks. WP1 has focus on production of polyester building blocks from renewable feedstocks including surplus biomass streams and carbon dioxide. Importance is given to issues such as feedstock security, and clean and cost-efficient process technologies for transformation and product recovery. WP2 combines suitable bio-based building blocks from WP1 to produce “drop-in” as well as novel poly-esters that will be characterized and evaluated for target applications such as fibres, coatings, packaging and films. 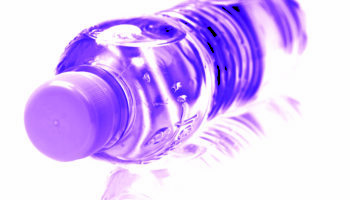 Modified natural polymers are also evaluated as components in plastic formualtions. 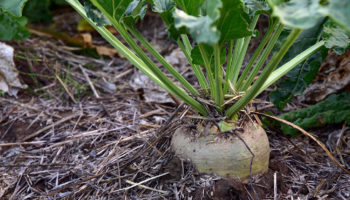 Key features of the polyesters would be improved barrier properties and thermal stability, recyclability or complete biodegradability. The Annual Report 2018 is published! 2019-03-29. Now you can read STEPS Annual Report 2018 here. 2019-03-21. 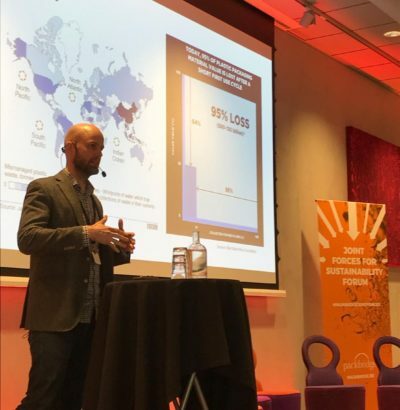 STEPS researcher Tobias Nielsen presented the five potential pathways to a sustainable plastics system at Joint Forces for Sustainability Forum. Read more here. 2019-03-08. Listen to STEPS researcher Tobias Nielsen, Political Science, Lund University, talking about Pathways to Sustainable Plastics at Tetra Paks Science and Innovation Talk! 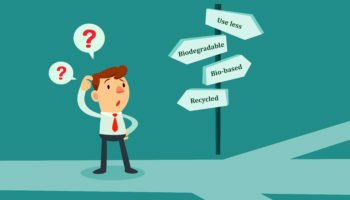 Five pathways to more sustainable plastics are discussed: bio-based, biodegradable, recycling, fewer types and reduced use. 2019-02-24. 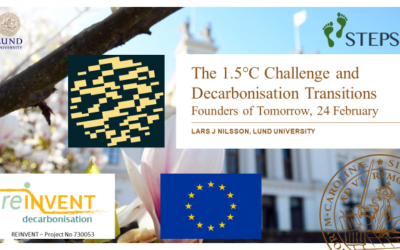 Lars J Nilsson presented the 1.5 °C challenge based on the recent IPCC report and decarbonisation pathways for industry including plastics and steel at the Founders of Tomorrow Impact bootcamp and idea competition. Read more here. – writes STEPS researchers Fredric Bauer, Tobias Nielsen and professor Lars J Nilsson in NyTeknik. 2019-02-19. 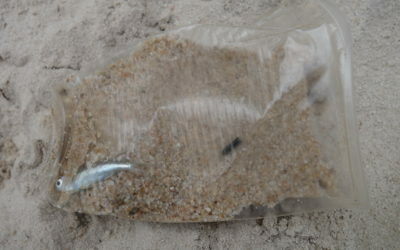 Need a bag? 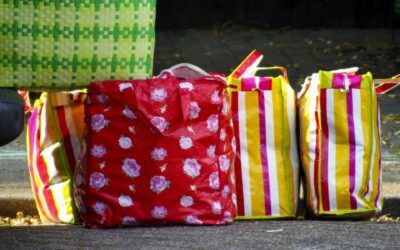 A review of public policies on plastic carrier bags – Where, how and to what effect? by researchers Tobias Nielsen, Karl Holmberg and Johannes Stripple can be downloaded here. 2019-02-13. 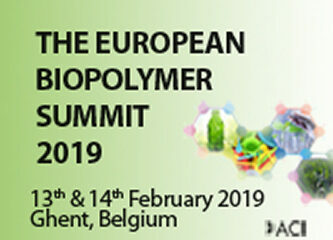 ACI’s European Biopolymer Summit 2019 will bring together senior executives and experts from biopolymers’ manufacturers, chemical companies, and consultants, to discuss the latest changes, challenges and developments within the industry. More information and registration here. 2018-12-22. STEPS researchers from Lund University publish ”Kampen mod plastik er kun lige begyndt” in the Danish Politiken (p. 6, 2018-12-22). They write about the new EU directive on single use plastics and the fight against plastic pollution in the oceans and on our beaches. Read the full article here. 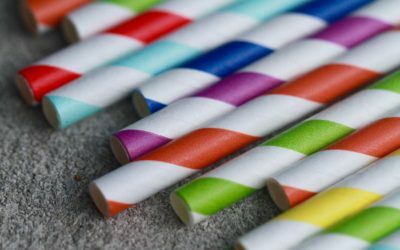 Five pathways to more sustainable plastics are proposed: bio-based, biodegradable, recycling, fewer types and less use. The pathways are complementing rather than competing, although the balance between pathways in a transition cannot be detailed in advance. Technology development, institutional changes and human behaviour will create new opportunities and problems along the way. 2018-03-31. 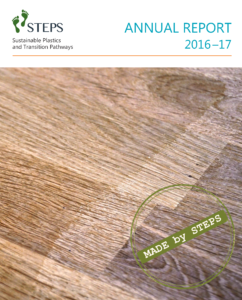 STEPS annual report for Year 1.